Indulge yourself with this decorative and ornate swag valance curtains in your living room, lounge or anywhere you desire to place it. 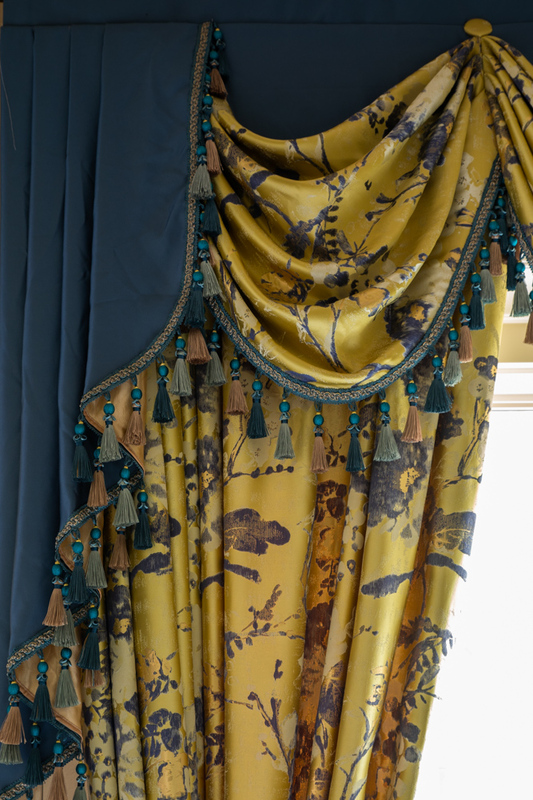 Feast your eyes upon the intricate bird and floral pattern and subtle sheen of the velvety fabric. 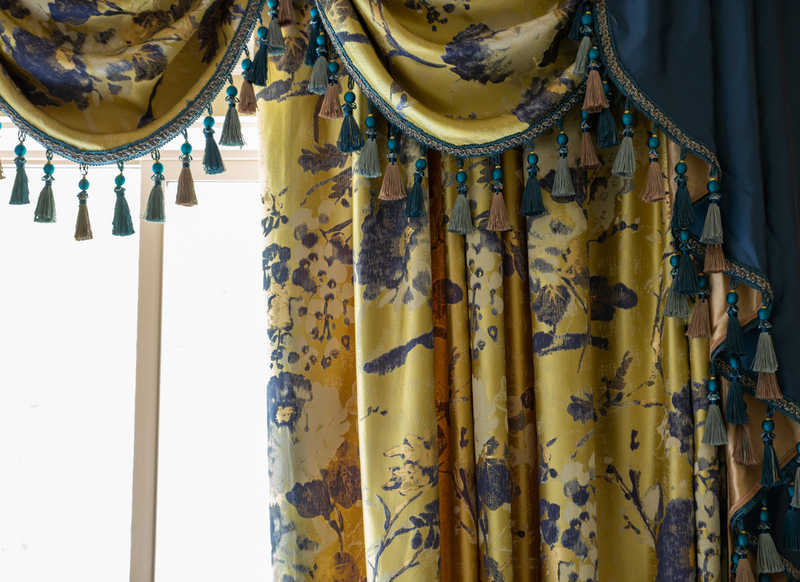 Let this truly majestic set lighten up your room. 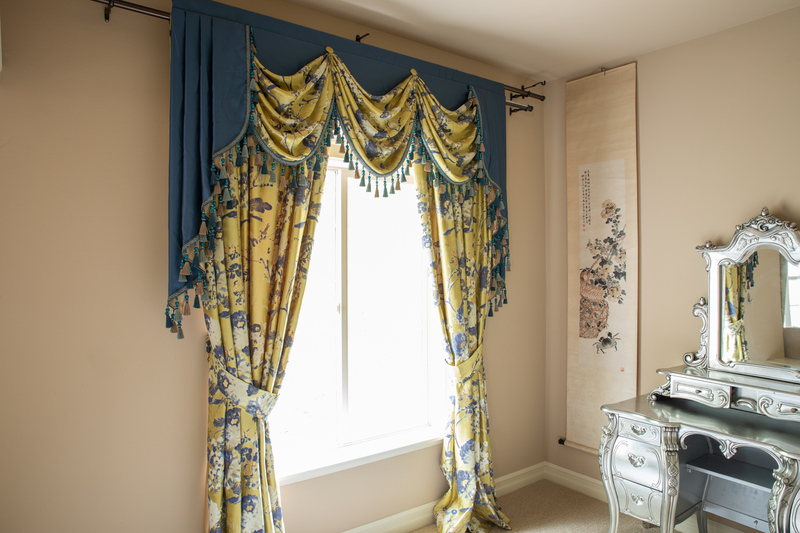 Enjoy the premium quality of custom-made curtain with the convenience and affordability of pre-designed styles. 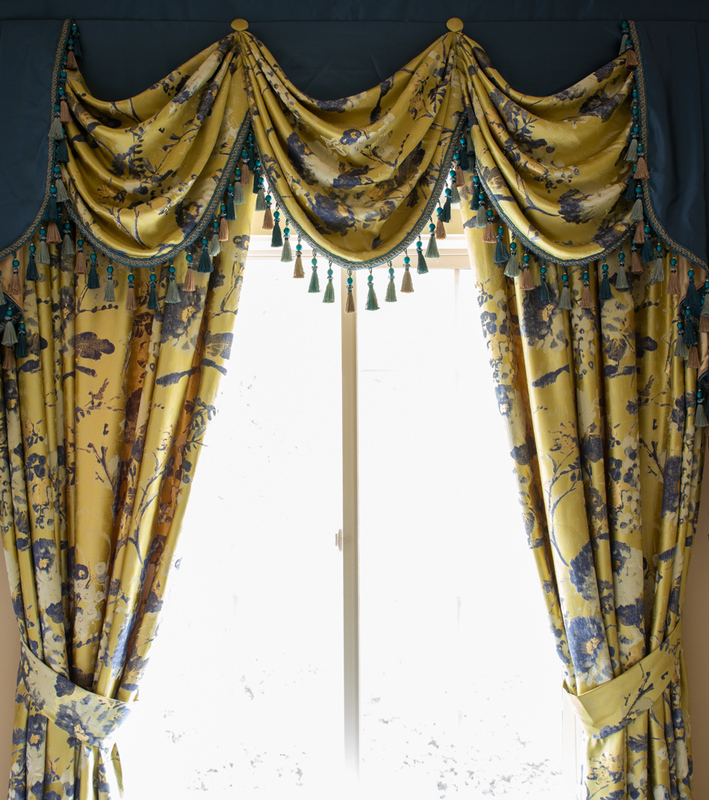 Each set comes with 2x fullness lined panels, paired with a gorgeous looking valance with swags and tails. 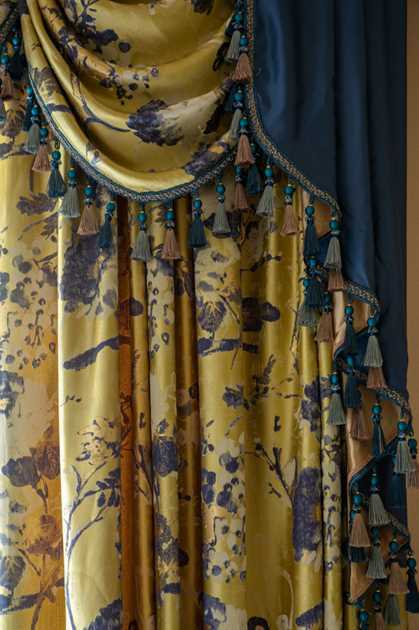 So whether you plan to use them as window treatments or room dividers, this unique curtain will surely infuse the space with rich cultural detail and timeless elegance. 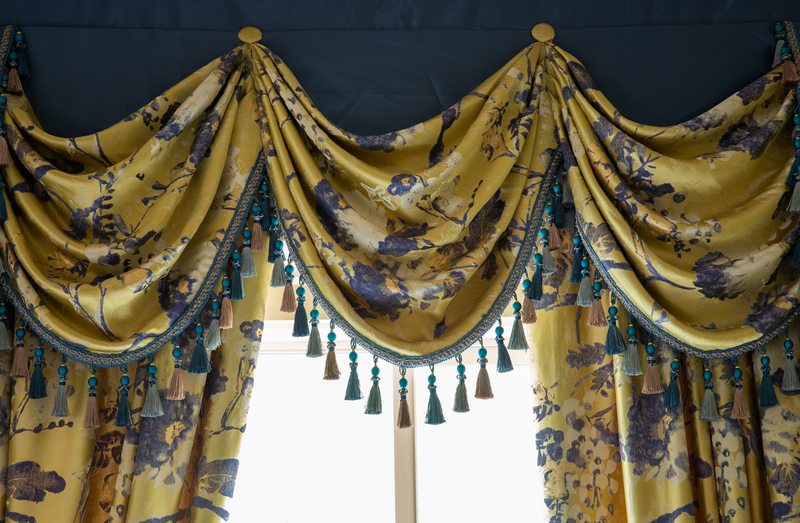 Width: order at least 6 inches wider than the window width if you want valance only; 10"-30" wider (if the wall space allows) than the window width if you want a full set. 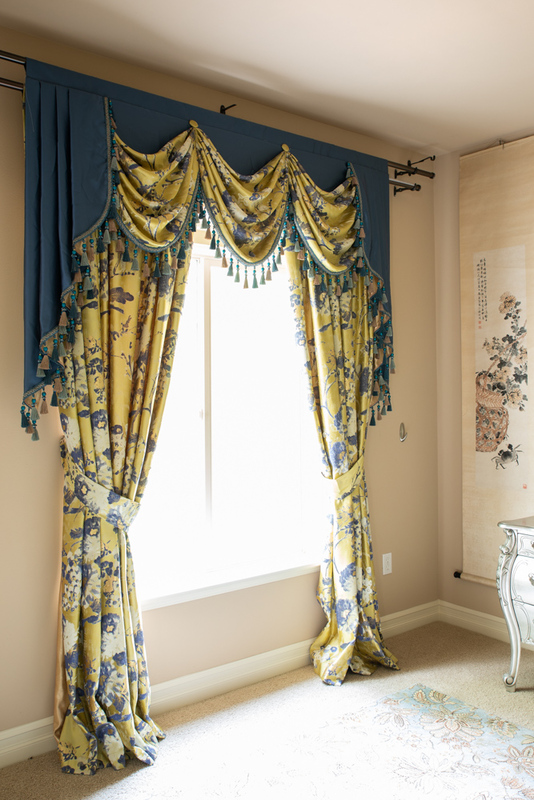 If the wall space is limited, use the wall width minus a few inches as the width. 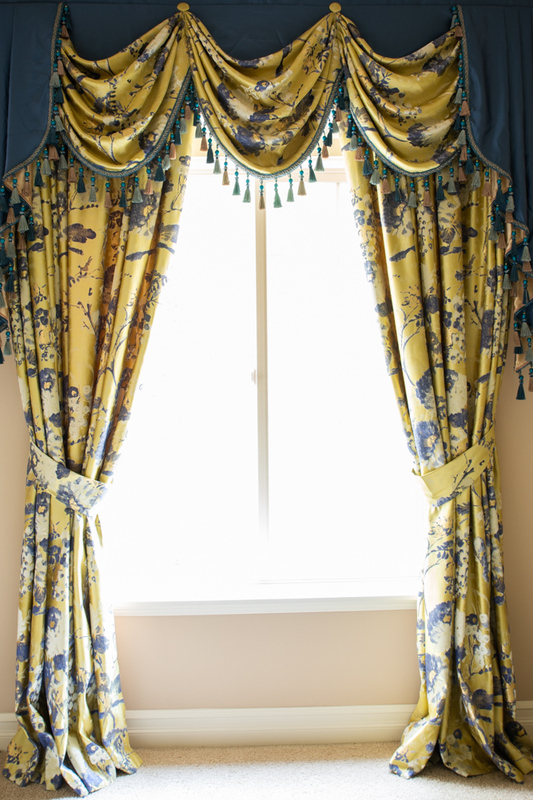 It is as easy as installing any regular curtains except that you need two separate rods. 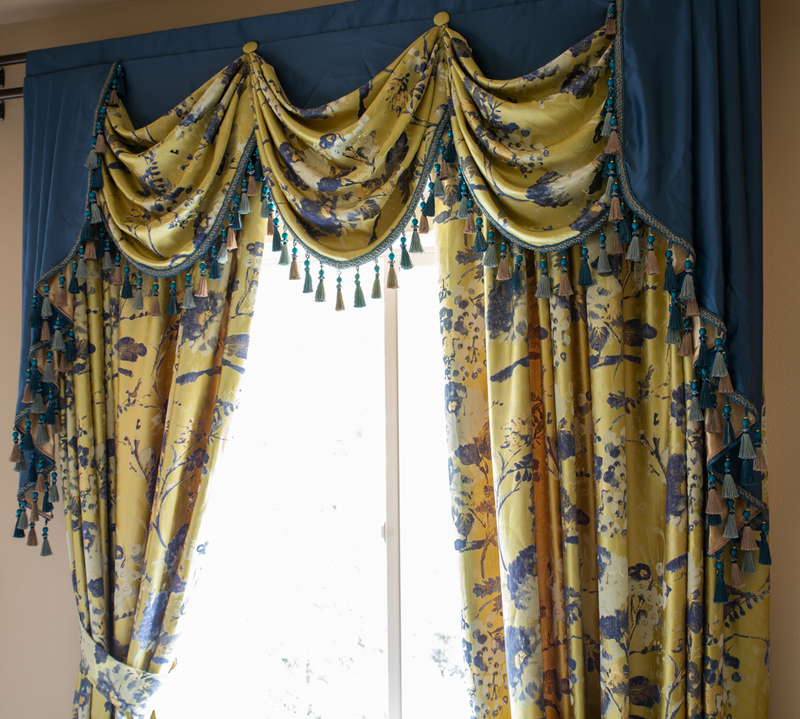 The rod for the drape panels will be installed slightly lower and inside the rod for the valance. 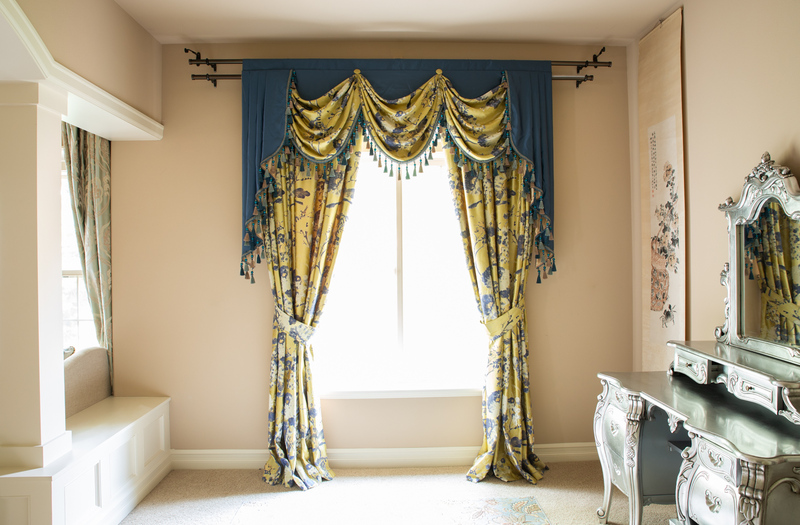 Since both valance and drape panels have rod pocket on top, just slide the rods through the rod pockets and hang both rods onto the supporting brackets. Done!